Google has made its Google Assistant available on Android Marshmallow and Android Nougat running smartphones. There are some eligibility requirements however and your smartphone should have more than 1.5 GB of memory and 720p or higher screen resolution. 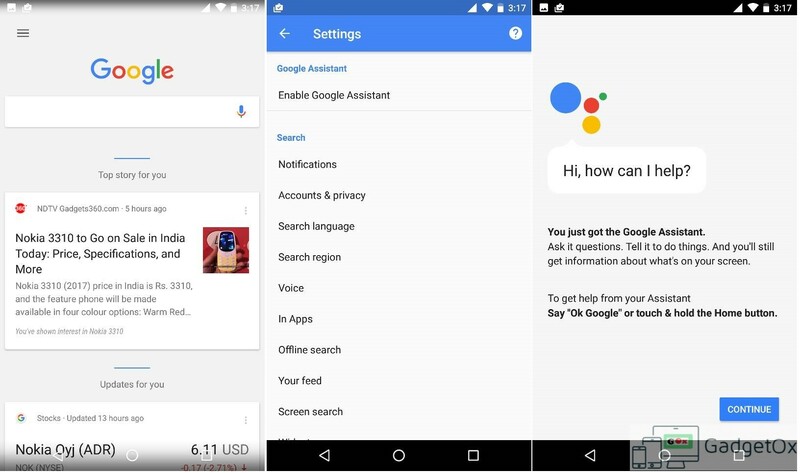 Even after meeting these eligibility requirements your smartphone doesn’t see Google Assistant and it doesn’t get enabled by default, here is what you can try. Update your Google App to the latest version or check whether you have the latest version. This will enable Google Assistant on your smartphone. You can test it by tapping and holding on Home button. This should launch Google assistant. In case if this doesn’t work, try changing Phone language to “English US” and try above steps again.